Airline passengers should know their rights before ever boarding a plane, an air passenger rights advocate says. The push comes after Fredericton Coun. Stephen Chase called out Air Canada for four last-minute flight cancellations from Halifax to Fredericton this year. "This is a new low," said Gabor Lukacs, founder of Air Passenger Rights Canada, a non-profit group that makes the public aware of its rights while using airlines. Since August 2017, three of Chase's four cancelled flights were from the Halifax Stanfield International Airport to Fredericton and another from the Fredericton International Airport to Halifax. Chase said he's complained to Air Canada about the cancellations. He never received a flight refund — but sometimes he got a $10 meal voucher. He was offered a four-hour taxi or bus ride home to Fredericton. Two out of the four times his flight was cancelled he's opted to rent a car but never received a refund. Although Lukacs has never heard of this kind of incident before, he finds it "very troubling" because every passenger has the right to transportation if they've paid for it. "The passenger paid for air travel not for a bus ride or a cab ride," he said. If a passenger's flight is cancelled because of a shortage in staff, Lukacs said, passengers should receive a refund for the portion of the flight that was not flown — even if that means booking a flight with another airline and sending the bill to Air Canada. "A cab ride is not an alternative to a flight," he said in an interview with Information Morning Fredericton. "If the airline does not provide a flight they have to reimburse the passenger for it." If a flight is disrupted because of factors like a staff shortage, or trouble with the plane, he said, passengers should also seek compensation for hotel stays and meal accommodations. "Air Canada's own terms and conditions require the airline to arrange for a hotel and to provide meal vouchers." If a flight agent disagrees, he said passengers should use their cell phones to record their conversations, ask for the agent's name, as proof the request was made for reimbursement but was denied by an agent. "In most cases this is simply a genuine lack of awareness [from an agent]," he said. "I have seen in some cases, some airlines situations where the agents are told to give information that is actually false and misleading about the rights of passengers. If the airline continues to refuse reimbursement, he recommends going as far as suing the company in small claims court. "If there's only one person complaining, it's one thing, but if it is many people who take matters to small claims court, the airline will have to change," he said. 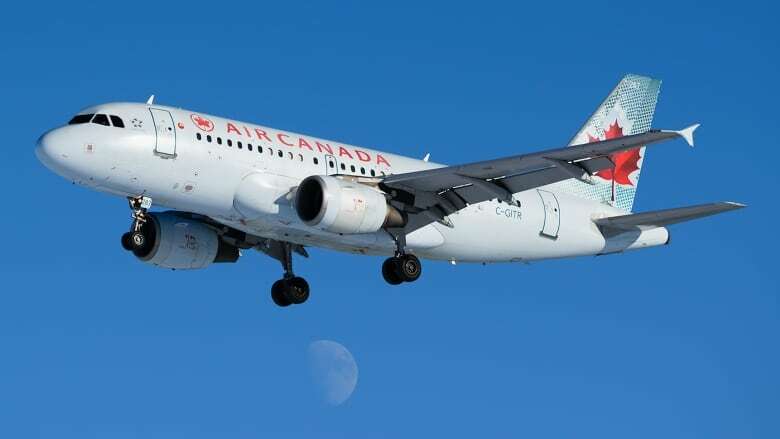 In an email to CBC News, Isabelle Arthur, a spokesperson for Air Canada, said the company was aware its partner in providing regional service, Air Canada Express, is "having challenges this week." "We are working closely with them to ensure our passengers are looked after, including alternate travel arrangements being made," she said.